The studio Lightbox is made of Aluminium Alloy material - which has strong impact resistance and excellent stability against weather fastness and erosion of acid and alkali. It has long lifespan up to five years or more compared to products of other materials. built three independent light source brightness adjustment knob attached to the inner wall of a high reflective film, left, right, up, three light sources can be played back beautiful three-dimensional light, Easy shooting with amazing shooting effect. Perfect for items like Shoes,bag,wine,Jewelry, toys, electronics, cosmetics and so on (items no more than 65% shooting space). 1. 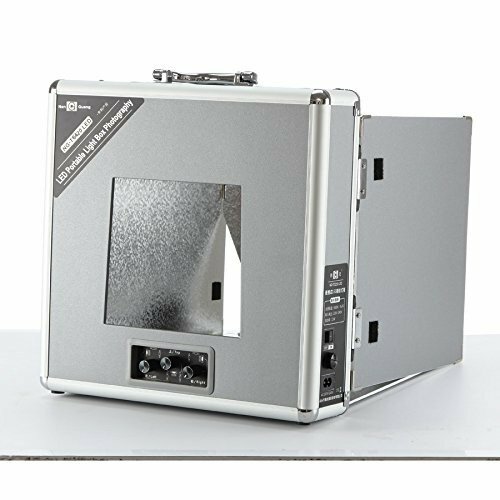 Aluminum LED photography light box, built three independent light source brightness adjustment knob attached to the inner wall of a high reflective film, left, right, up, three light sources can be played back beautiful three-dimensional light, Easy shooting with amazing shooting effect. 5.Easy to clean and assembly. Color: 18.50 "x 18.50" x 20.87 "
If you have any questions about this product by EXMAX, contact us by completing and submitting the form below. If you are looking for a specif part number, please include it with your message.